Uploading orders in a CSV file. You can upload a file that contains your orders in one of our accepted formats (refer to 'Multiple Shipments'>'Add Shipments'>'File Upload'>'Help Section' on our dashboard for more details). This will only take a few seconds, and your orders will be automatically uploaded onto our system! Here's how to upload your BackerKit orders to Easyship. In the BackerKit dashboard, click "More", then "Export". By clicking on the CSV or XLSX file, your orders will be automatically downloaded. All you'll need to do is fill in the missing column information, such as item category, item dimensions, weight, customs value, and currency. Once completed, you can upload this file into Easyship. 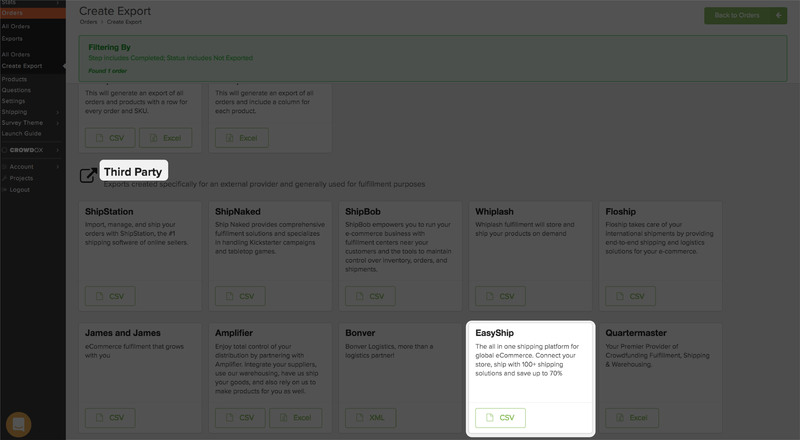 Go to Create Shipments > Multiple, then Add Shipments. Click File Upload, then Browse your files and upload your Backerkit CSV or Excel file. Now you can begin generating labels! Here's how to upload your Crowd Ox orders into Easyship. In your Crowd Ox dashboard, click All Orders. Then, click Export > Order Selections. Scroll down and find Easyship under Third Party. Click the CSV button > Export. Wait for the CSV to generate. Once it’s ready, click the Download Export button. You’ll also have a copy sent to your email address. When you open the CSV file, fill in the missing column information, such as the item customs value. Once all the columns are complete, you can upload this file into Easyship. 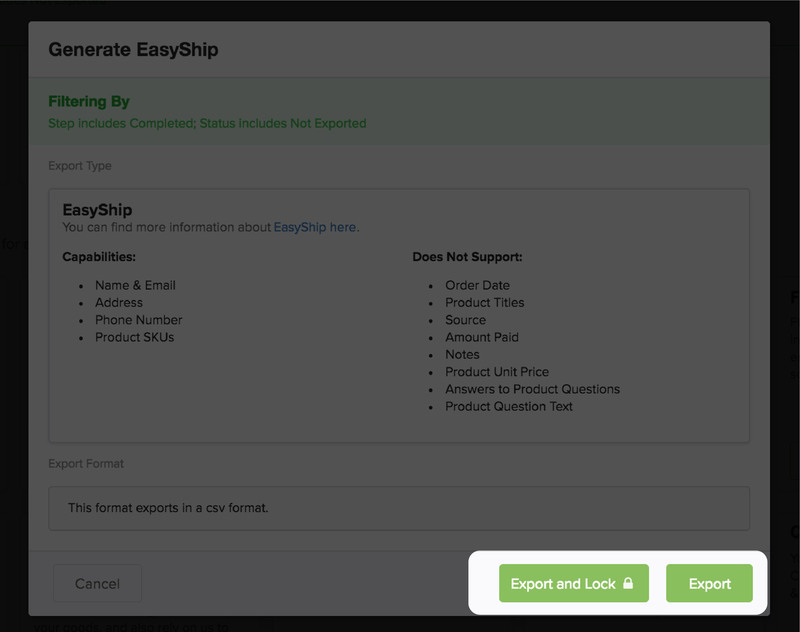 To do so, log in to your Easyship dashboard and go to Create Shipments > Multiple, then Add Shipments. Click File Upload, then Browse your files and upload your Crowd Ox CSV file.